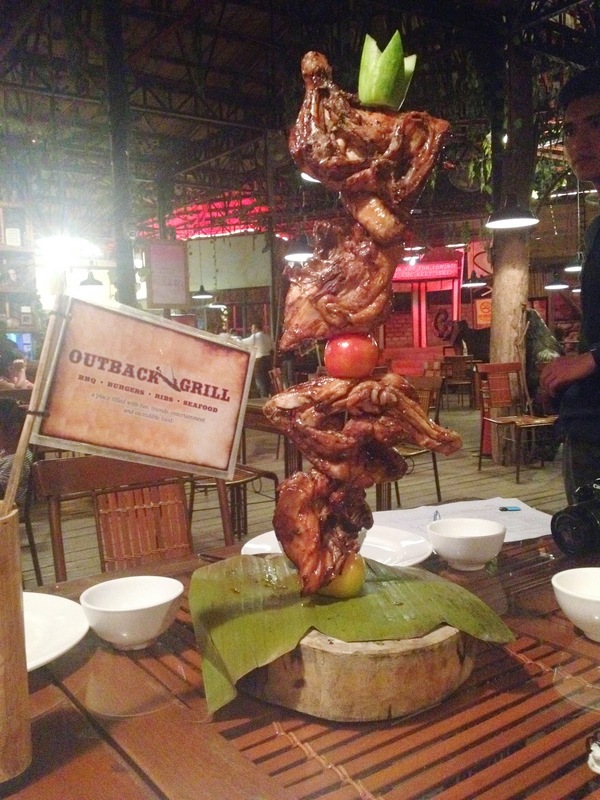 It was a bbq, burgers, ribs and seafood kind of night with the Davao Bloggers last July 31 at Outback Grill. Outback Grill is a 1950's jungle themed restaurant. With its relaxed, fun ambience, your family will surely enjoy your dining experience. 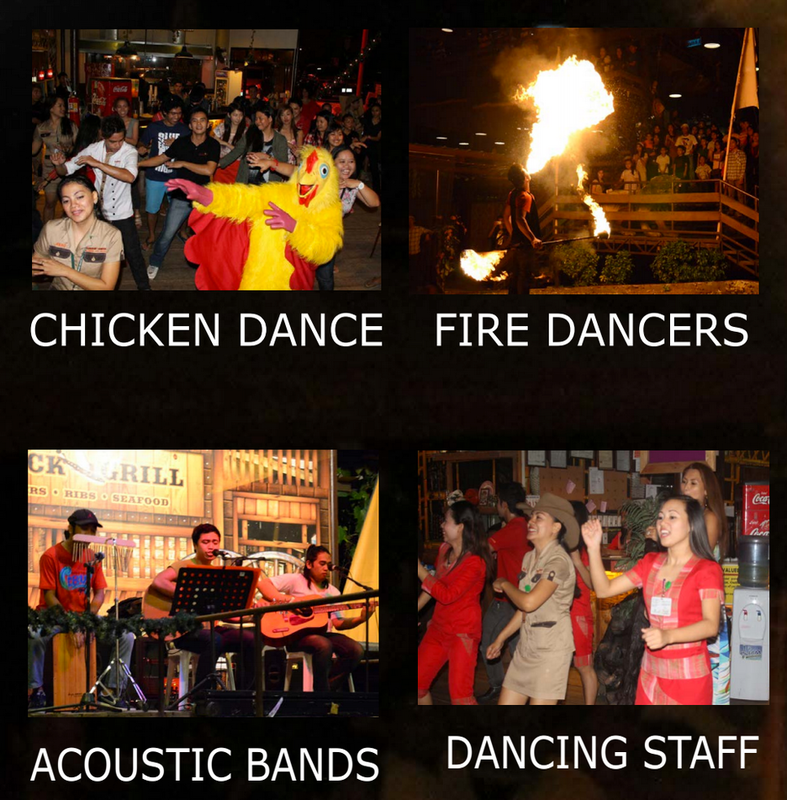 They also have nightly entertainment like acoustic bands, chicken dance, dancing staff and fire dancers. Of course the highlight of the night was the food. We were generously served with their bestsellers. Chicken Tower (P399)- Outback Grill's famous chicken BBQ cooked with their special homemade sauce. Served with unlimited rice. Chuck Wagon (P649) - One kilo of juicy, tender pork ribs. Served with unlimited rice. 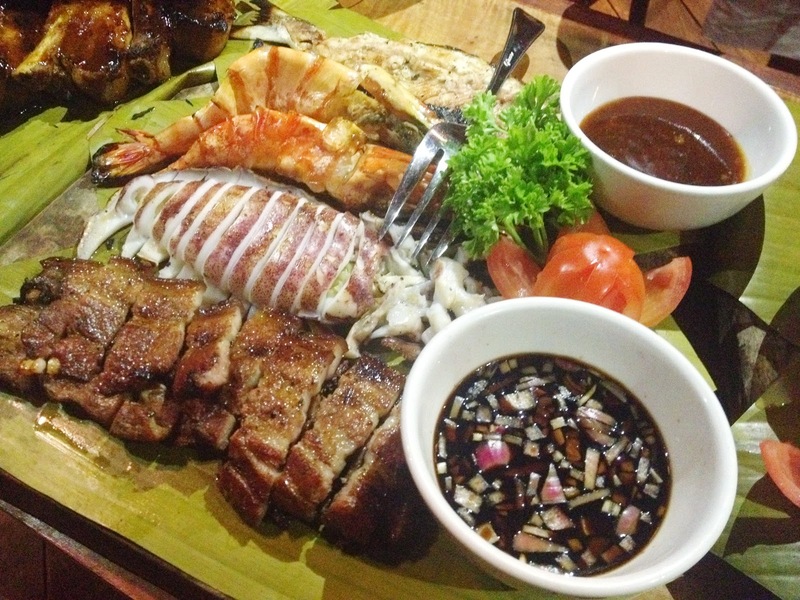 Zoofari Bounty (P650) - Outback Grill's all-time grilled seafood favourite, tiger prawns, bangs, squid and liempo all in one plate. Served with unlimited rice. 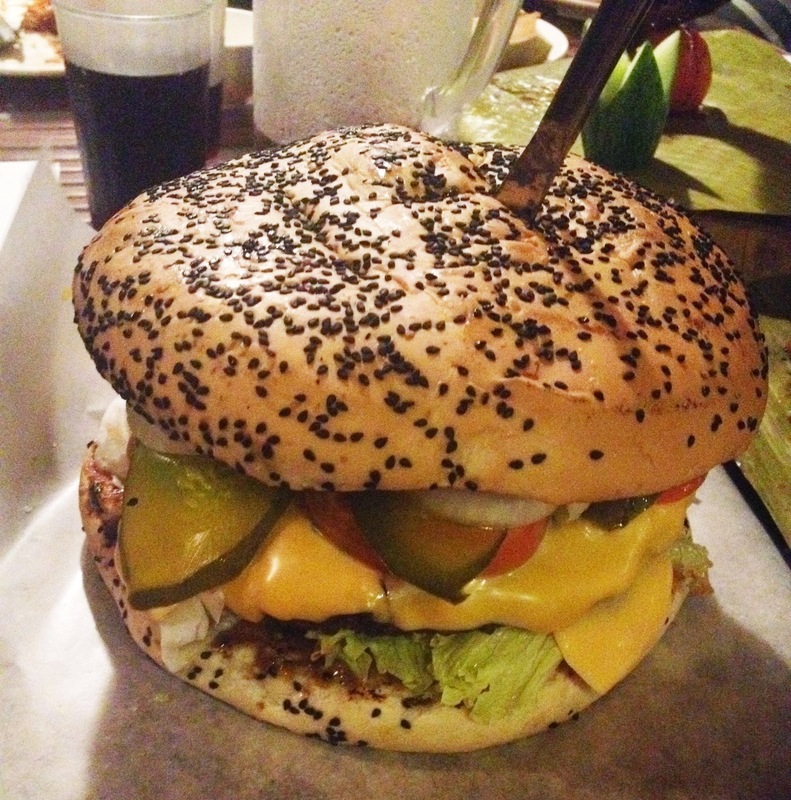 Goliath Burger - The biggest, best, bulkiest burger in Davao. 10 inch in diameter and 1 kilo beef patty. Buko Pandan Sago (P199) - Buko pandan, sago in evaporated milk and crushed ice, topped with vanilla ice cream and cherry. 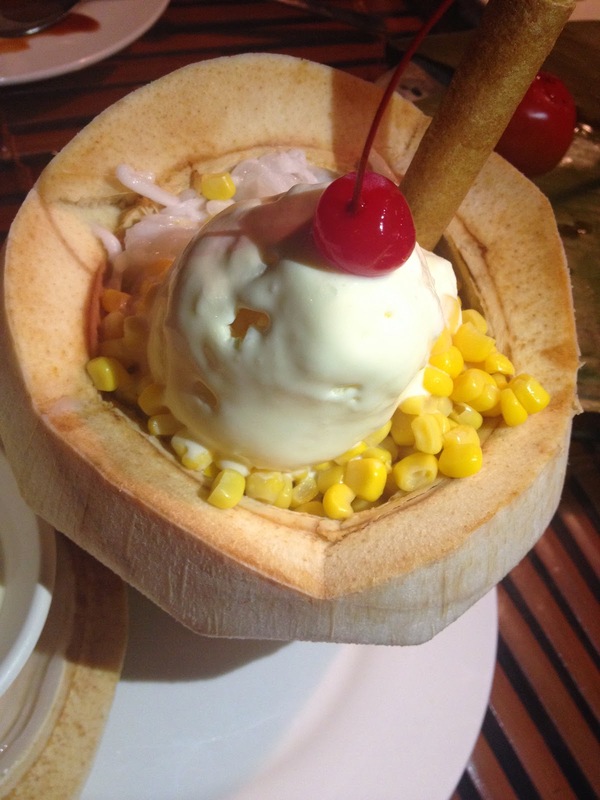 Mais Con Hielo (P179) - Buko and whole kernel corn in evaporated milk & crushed ice, topped with vanilla ice cream and cherry. Buko Halo-halo (P179) - Buko, macapuno, sago, kaong, ube jam, bata de coco, sweet langka, banana, pinipig, sweet mango in evaporated milk & crushed ice, topped with ube ice cream, leche flan and cherry. 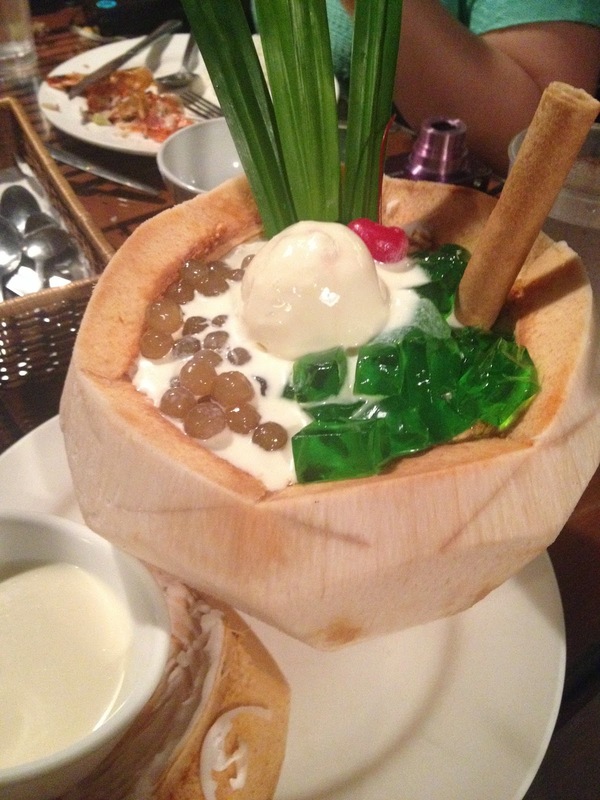 My favorites were Zoofari Bounty for the main dish and Buko Pandan Sago for dessert. It was a great night spent with friends with good food, friendly staff and awesome host. Thank you for having us.